If you are looking for a destination wedding that is the epitome of elegant and stylish, look no further than Villa Caletas Costa Rica . This luxurious resort is perched up on a ridge overlooking the Pacific Ocean near the beachside city of Jacó, Costa Rica. Thanks to its strategic location, the resort boasts sweeping ocean and jungle views from virtually everywhere. Not to be outdone by all the natural beauty outside, the resort has some exquisitely designed spots for your ceremony and reception. Plus, the luxury suites are everything you could possibly want in a comfortable, relaxing home-away-from-home during your stay. Let’s start with picking a spot for your ceremony and reception because Villa Caletas has some unique settings that are sure to take your breath away. For lovers of ancient Greek style architecture, or even just those who want a truly unique setting for their ceremony, the amphitheater is an amazing choice. Imagine an expansive view of the rainforest and the Pacific Ocean splayed out in the background. Your guests will be seated in typical amphitheater-style seating. This means that everyone will have a great view of the two of you and the spectacular tropical vista that serves as the backdrop to your memorable wedding ceremony. For grandiose events with a large guest count, the Rancho Caletas is the perfect spot. The open air covered rancho provides a shaded area to escape the bright sun and is also the perfect spot to ensure that a tropical shower doesn’t catch you by surprise! Epic views are not lacking here either as the rancho looks out over the Pacific Ocean. The rustic stone and wood decor is the perfect look for a classic wedding with a tropical feel. You can’t go wrong with whatever accommodation you choose at the resort as all the rooms are luxurious. Options include everything from economical standard options to luxurious suites all the way up to the two lavish honeymoon suite options. These each has their own private swimming pool and hot tub. Most rooms have their own private terraces where you can sit back and enjoy a refreshing drink with your special someone each evening. Whatever option you choose, be prepared for a comfortable place to relax in luxury and enjoy the exotic views afforded by being in paradise. This gorgeous mansion is the epitome of all that Villa Caletas has to offer. There are seven luxurious suites each with it’s own interesting or exotic theme like African, Oriental, Imperial, Royal and Egyptian. For larger groups, the entire mansion can be rented so that your party can enjoy privacy. The Champagne Ballroom is the epitome of elegant places to hold your wedding reception and just outside is the infinity pool with Greek columns and an epic ocean view. A second option involving that ancient stone column look also involves an infinity pool. How epic is that? Again, you and your beloved stand at the base of elegant columns which stand sentinel around three sides of an inviting infinity pool that gives way to more of those awe-inspiring jungle and ocean views. Photos at sunset in this spectacular spot are so epic it’s almost ridiculous! 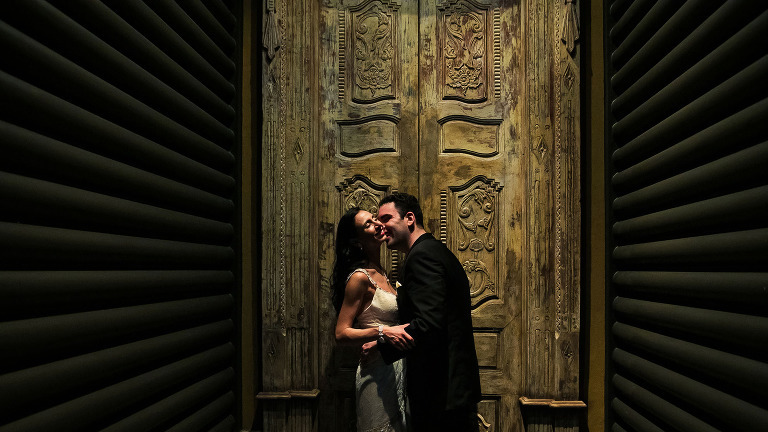 Planning destination weddings from afar can be a challenging task. 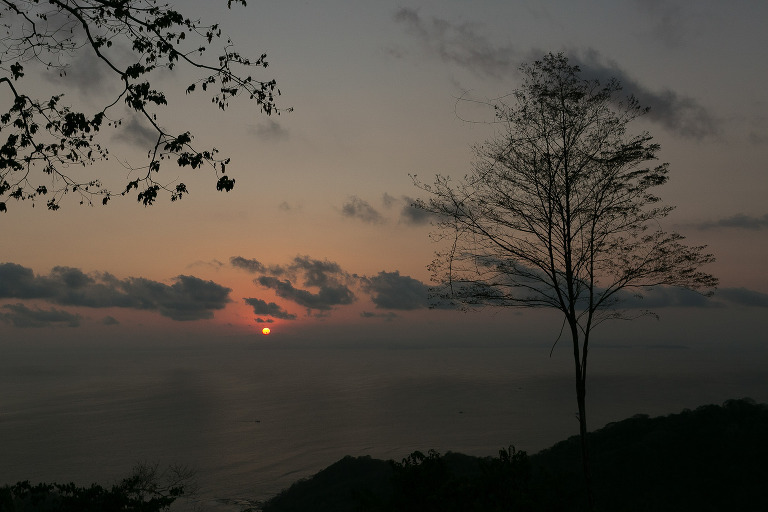 But with the help of the professional staff at Villa Caletas Costa Rica, it becomes really simple. 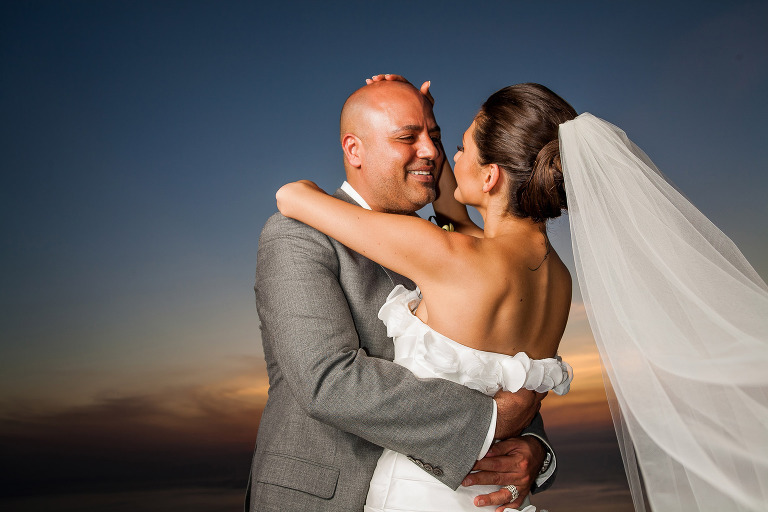 Their experienced wedding planners work hard to ensure that your day goes off without a hitch. Guests regularly report that their wedding day turned out to be even more special and memorable than they had envisioned. Other amenities at this exquisite resort include access to the hotel’s two private beaches, onsite restaurants, concierge, yoga and fitness facilities, spa services and beauty salon. 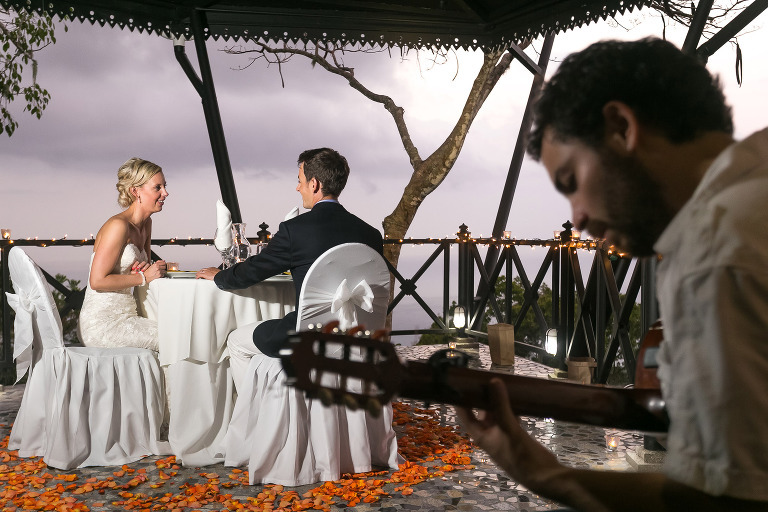 As you can see, Villa Caletas Costa Rica has everything you need to create the perfect atmosphere for your special day!